Gorgeous take on the sketch! Love the texture from the embossing folder! Brilliant ... love that you used only a triangle of the embossing folder. 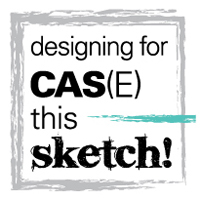 I'm CAS(E)ing this. Great card. 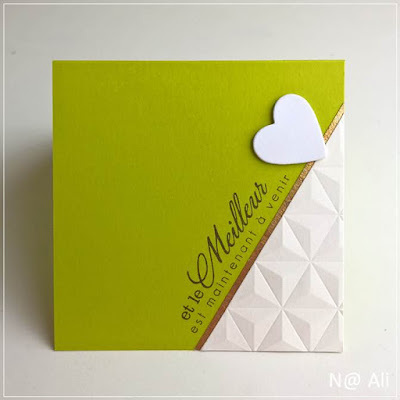 Love the geometric embossing folder you used. Brilliant take on the sketch! The texture on the corner is amazing! I love how you used the sketch. That embossing looks so cool!